Grib Diamonds is an independent privately-owned company that has been selling rough diamonds in Antwerp since 2014. The product sold is from the Grib diamond pipe, one of the largest diamond mines developed over the last 10 years. It is located in the North-Western part of Russia, approximately 130 km from the regional capital of Arkhangelsk. The pipe was discovered in 1995 and is named after Vladimir Grib (a Russian geologist). The active development phase started in 2008 and the first diamonds were produced in 2014. 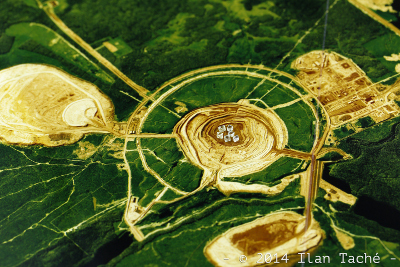 The mine has reserves of 52 million carats that will be mined using open pit methodology. There is scope for further underground development of the Grib pipe. Once the diamonds are mined, they are sent to Moscow and after being processed in accordance with Russian legislation they are exported to Grib Diamonds NV in Antwerp. Grib Diamonds markets its rough diamonds supplies by means of spot market internet auctions.